Otto Richard has won the 2017 Winamax Poker Open Dublin Main Event. 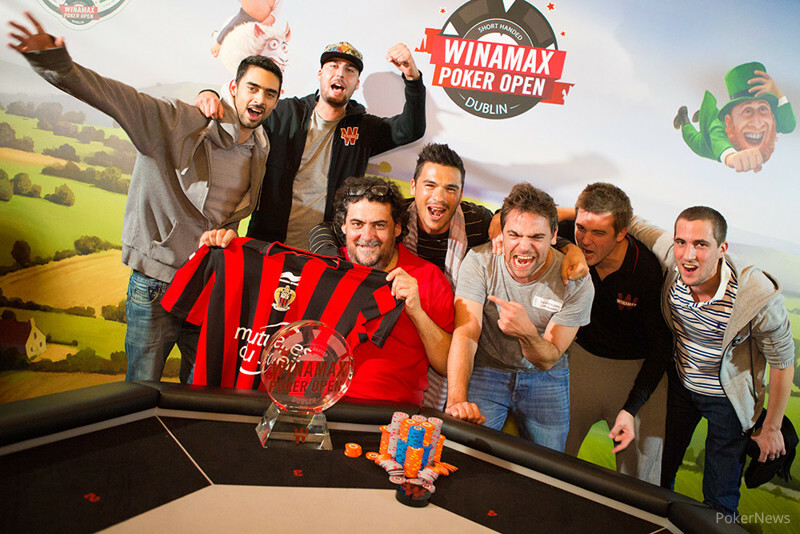 He saw of the second largest Winamax Poker Open field in history, a total of 1,069 players, to take home €92,000 and the much-coveted trophy. Richard, who is from Paris but lives in Brighton, was the oldest player at the final table at 33 years of age. A former Magic: The Gathering player, he moved to poker in 2006 and now boasts a poker CV with more than $200,000 in live tournament winnings in the space of eleven years. Despite re-entering in Day 1A after, according to him, twice trying the same bluff, Richard rode a chip lead that started at the final two tables all the way to the title and prize money. The bust outs began early today, with Jonathan Barusta, Guillermo Sanchez and Day 1B chip leader Laurent Decauwert heading to the exit. 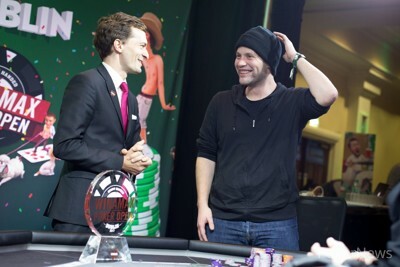 At this stage, Matthieu Vincendeau was still in control of proceedings as chip leader on the feature table, but it wasn't long before Teunis Kooij took over at the head of the leaderboard. This was in part due to his elimination of Jean-Robert Autran, whose attempted hero-call all in for his tournament life with pocket threes on a was met with the of Kooij. Kooij was then superseded by Otto Richard at the top of the leaderboard, after Richard too a chunk from the Dutchman, and then eliminated Tony David Nadau to get the tournament down to two tables. Most of the eliminations from two tables down to one occurred on the outer table, with Kooij and Richard the beneficiaries of the eliminations of Matthieu Martin and Knut Berntsen. Berntsen suffered somewhat of a cooler in his elimination, getting in against the of Richard. There was an Ace on the flop and turn for Berntsen, before the six on the river sent him to the rail. Start of day chip leader Vincendeau was eliminated in 8th place when he ran into the Kings of Sonny Franco, and the unofficial final table was set. The tournament lost its last two remaining Irishmen - Michael O'Sullivan and Jason Tompkins in 7th and 6th place respectively, followed by Kooij in 5th. By this stage Sonny Franco had begun to challenge Richard for the chip lead, helped in part by an audacious stone-cold five-bet flop bluff into Adrien Decramer before Decramer departed in 4th. It wasn't long before the tournament lost its final non-Frenchman, Lozano Manzanares, who was eliminated after getting his chips in against Otto Richard drawing dead on the turn, and Richard took a more than 2:1 chip lead into the heads-up match. The pivotal moment came on a board with Richard moving all in and Franco snap-calling. Franco had a house with but Richard had an even bigger one having flopped aces full of fives with . It was only a matter of time then for Richard to close it out, when his Ace-Queen held for him to take down the tournament. Sonny Franco moved all in for 5,700,000 and Otto Richard called. The flop came with no help for Franco. The turn was the and the river was the meaning Franco was eliminated in 2nd place. He takes home €67,000. Otto Richard limped on the button and Sonny Franco checked his big blind. The flop came and Franco check-called a bet of 500,000 and the turn was the . The river was the and Franco moved all in for 4,000,000. Richard tanked before eventually open-mucking for a pair of sevens. Franco turned over for a stone-cold bluff, his second of the final table. Otto Richard limped on the button and Sonny Franco checked in the big blind. The flop came and Franco checked. Richard bet 500,000 and Franco raised to 1,500,000. Richard then three-bet to 3,000,000 and Franco called. The turn was the and Franco bet 1,700,000. Richard then raised to 3,800,000. Franco called. The pot was worth around 15 million chips at this point, with the coming on the river. Franco checked and Richard moved all in with Franco snap-calling. Both players had aces full, but Richard had flopped a better full house. The two remaining players are going on a 15-minute break. When they return the blinds will be 250,000/500,000 with an ante of 50,000. There haven't been many showdowns, or hands past the turn, but Franco has managed to take down several pots in a row to close the deficit. He's still out-chipped by over 10 million chips, but the gap is the closest it has been since heads-up play began. Sonny Franco raised to 1,200,000 and Richard Otto called. The flop came and Otto check-called a continuation bet from Franco of 1,000,000. The turn was the and both players checked. The river was the and again both players checked. Otto showed and Franco took down the pot with .